Public archaeology is about talking with people–students, adults, construction workers, public officials–really, anyone who will listen. These conversations take place during outreach events, excavation site tours, hands–on activities, or lectures. Traditional approaches to public archaeology require that the audience be physically present and the archaeologists get their message across within the time limit of the event. Engagement opportunities last anywhere from a few minutes to a few hours and conclude with a few follow–up questions and, sometimes, an exchange of business cards. The chances that the audience retains the central messages conveyed during the event depend on their memories, notes, and handouts. Over the past few years, social media have developed into a worldwide phenomenon. On its face, discussing archaeology through digital technologies is not new. Listservs have been used to exchange information between professionals since 1986 (Hirst 2001). Arizona State University began hosting HISTARCH in 1994; it reached 1,463 subscribers in 2010 (L–Soft 2010). During the Levi Jordan public archaeology project, Carol McDavid successfully engaged stakeholders using a website that she constructed (McDavid 2004:50). Two differences between these technologies and social media is the diversity of web platforms available and the speed with which information is exchanged. Web 2.0 is a label used to refer to social media technologies: blogs, social bookmarking sites, photo– and video–sharing communities, and platforms such as Facebook and MySpace (Agichtein et al. 2008:183). Collaborative by nature, social media produces user–generated content that is created, exchanged, and accessed on a variety of devices (Kaplan and Haenlein 2010:61). Currently, Facebook has over 500 million active users with 250 million users accessing their accounts from a mobile device. On average, Facebook users create 90 pieces of content every month (Facebook 2011). The diversity of platforms and amount of content appear daunting, but social media is becoming a trend that places nonusers in a minority category. Archaeologists must engage in social media to maintain relevance in an increasingly technological society. However, there is no reason for us to reinvent the wheel. In the larger social media ecosystem, archaeological professionals are just beginning to experiment with technologies that marketing, entertainment, and other fields have been using for years. Rebecca Whitham, the Public Relations Coordinator for Woodland Park Zoo, wrote about her institution’s rationale behind moving into social media. They started a Twitter account to reach minority populations who accessed the Internet through mobile phones. In her work, Whitham realized that social media users were not a homogenous group (Whitham 2010:9). User behaviors ranged from creator (submitting photos or blog content), critic (leaving comments on various types of content), or simply spectator. Whitman and others encourage an approach to social media in which the user consciously chooses an approach and adapts it based on feedback from measurement of web traffic (Whitham 2010:9). 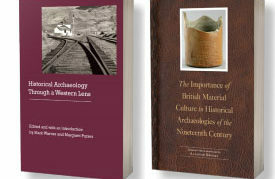 When used in conjunction with a critical approach to public archaeology, the audience and quality of engagement increase. Many archaeologists now engage the public using social media. 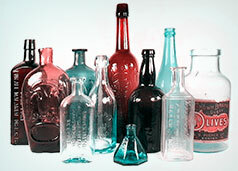 The following three examples were selected as a critique. For the purpose of a quick comparison only, use of one social media platform–Facebook–was examined. World Diggers Day was a widespread event created by Lawrence Shaw, a postgraduate student at the University of Birmingham, through Facebook in February 2011 to encourage people involved in archaeology all over the world to show their support for their profession. Participants were asked to change their profile pictures to an image of Indiana Jones or Lara Croft. While problems arise with the association with these fictitious adventurers, the general public found them relatable and their use garnered a lot of attention. Over 12,000 people from more than 30 different countries participated in this media event. Current posts from the World Diggers Day page provide links to professional archaeology blogs, Twitter feeds from archaeology conferences, and other genuine archaeology materials. Facebook pages build and strengthen a community of volunteers and stakeholders in archaeological projects. Archaeology in the Community (AITC) is a nonprofit organization directed by Dr. Alexandra Jones that uses a Facebook page to share its mission statement and goals, photos, and upcoming events. 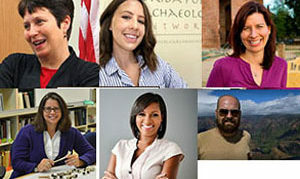 The page connects members of AITC with the public and other archaeologists who follow their work. Using social media platforms means giving up a degree of control and devising a plan to deal with unexpected content. For example, the Society for Historical Archaeology Annual Conference page on Facebook received comments and inquiries from a treasure hunter prior to the 2010 conference at Amelia Island, Florida. Administrators temporarily suspended the page and switched to an invitation-only event listing. Since that time the page has reopened for public participation. SHA ultimately decided to keep the page public but holds participants to the SHA ethical guidelines. Some may be turned away, but the move struck a balance between engaging the public and upholding the institution’s core principles. Increasingly, social media is becoming the public face of institutions, one that requires ongoing maintenance. The PEIC does not advocate that every archaeologist participate in social media. A web presence with minimal content is worse than no presence at all. However, we recognize the potential to reach new audiences through social media and support those immersed in this form of outreach. The use of social media in public archaeology entails both advantages and disadvantages, with the above examples showing the potential for both positive and negative effects based on the way we portray the field of archaeology. Public archaeologists must strike a balance between educating the public while maintaining professional standards for research, excavation, and preservation. 2008 Finding High–Quality Content in Social Media. In Proceedings of the International Conference on Web Search and Web Data Mining, M. Najork, A. Z. Broder, and S. Chakrabarti, editors, pp. 183-194. New York: ACM. 2011 Statistics. http://www.facebook.com/press/info.php?statistics. Accessed May 1, 2011. 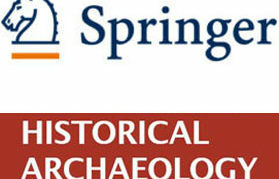 2001 Articulations: Chatting with Archaeologists, March 11th Chat: Anita Cohen Williams. 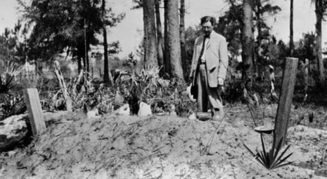 http://archaeology.about.com/library/chat/blchatcohenwilliams.htm. Accessed May 1, 2011. 2010 Users of the World, Unite! The Challenges and Opportunities of Social Media. Business Horizons (53):59–68. http://www.lsoft.com/scripts/wl.exe?SL1=HISTARCH&H=LISTS.ASU.EDU. Accessed May 1, 2011. 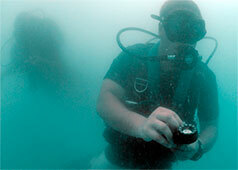 2004 From “Traditional” Archaeology to Public Archaeology to Community Action: The Levi Jordan Plantation Project. In Places in Mind: Public Archaeology as Applied Anthropology, P. A. Shackel and E. J. Chambers, editors, pp. 35–56. New York: Routledge. 2010 Finding Your Place in Social Media. Connect (February):8–9.